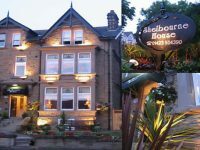 Jennis Lodge is a friendly, family-run guest house situated close to the seafront, marine gardens and town centre. 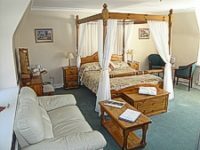 The smartly decorated bedrooms have pine furniture and many thoughtful touches that include TV, DVD or video plus broadband connection. Breakfast and dinner are served in the smart dining room and guests have the use of a cosy lounge with comfy sofas.